When you have leaking water, every second counts. 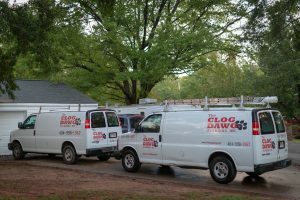 At The Clog Dawg Plumbing, our response time is unmatched. From the time we get your urgent phone call, to the time we’re at your door fixing the problem, we do everything we can to minimize your property’s exposure to water damage. When a water heater explodes at 2am, it’s no time to gamble with inexperienced plumbers or your brother-in-law’s toolbox. From electrical hazards, carbon monoxide venting dangers and more, you need to know that your plumber is certified, qualified, insured, and highly trained to handle any plumbing disaster. 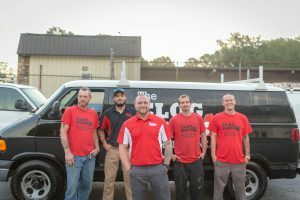 At The Clog Dawg, our highly trained plumbers can get to you whenever a plumbing emergency arises. From Atlanta to Acworth, from Alpharetta to Brookhaven, we have technicians placed throughout the North Atlanta metro area that we can dispatch at a moment’s notice. If you have a plumbing emergency, do not waste time. 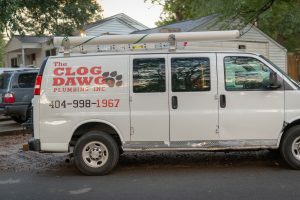 Turn off the main water shutoff valve completely, then call The Clog Dawg Plumbing for professional assistance. Is your toilet backing up? Or your Atlanta area water heater failing? Be sure to call us now! 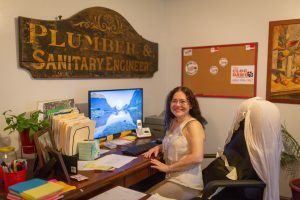 All work is done by a licensed and trained plumbing contractor, and a guarantee of quality home plumbing repair services. Our experience means that while it may be an emergency to you, your plumbing problem is surely NOT new to us, and whatever it may be, we have faced it before and know how to fix it immediately. When you call us you can expect a friendly voice on the phone to listen to you and take care of your problem with very fast response times. The Clog Dawg will only perform work that is essential. We do not promote unnecessary work. We have built our stellar reputation on honesty and efficiency, and combined with our low prices, this has enabled us to serve and retain our customers throughout the years. We only use quality parts to provide you with excellent workmanship. We approach each plumbing job with the same dedication and expertise. We customize our process to accommodate each customer’s needs. Whether you need an Emergency service, Water Heater Repair service, or your Sump Pump has failed you and your basement is filling up with water, we are just a phone call away!! Call us today for all your Atlanta emergency plumbing needs! Have an Atlanta plumbing emergency? Call (404) 998-1967 now.